It's official. I have a favorite item in Little June's nursery. Meet LLJ's new custom quilt! It's vintage inspired, colorful, quirky, girly and fun... and I'm obsessed. If you remember way back to 2012, David and I purchased a custom quilt for HDawg. We worked with the incredibly talented Kelly Hillis, who helped us choose each and every fabric individually and design the perfect little quilt for our boy. In addition to being used around his nursery, I used the quilt to take H's weekly and monthly first year baby photos so this blanket quickly became a huge part of HDawg's little life. When we found out we were pregnant again, one of the first things I did (no joke) was contact Kelly and request a second quilt for the second bean! Of course, at the time, I requested a little boy quilt... oops. Sure enough, David, Kelly and I designed an adorable little boy quilt that coordinated with the second bean's aqua and brick red nursery color scheme. Of course, we all know how this story goes! In mid January, David and I learned that our soon-to-arrive little boy was actually a little girl. Again, one of the first things I did was email Kelly with the subject line "EMERGENCY! IT'S A GIRL!" because I'm dramatic like that. Long story short, the amazing Kelly set aside the almost finished "boy" quilt and let us start fresh and design a "girl" quilt. 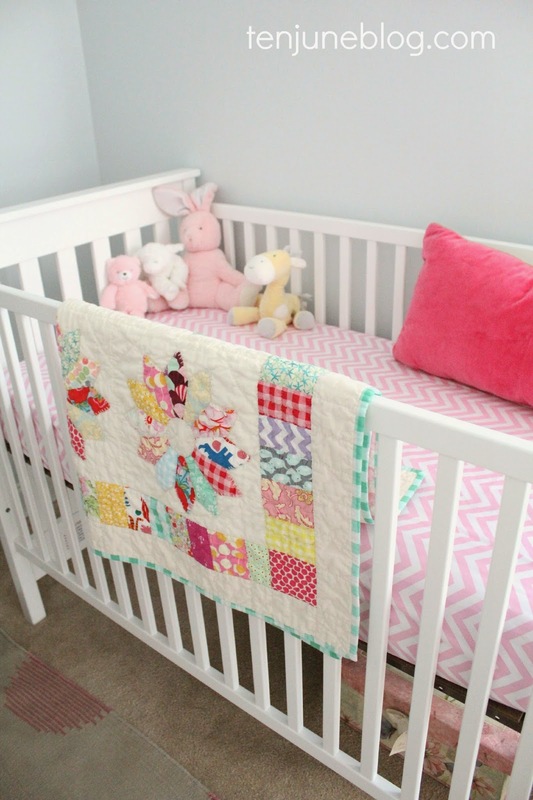 The first quilt would have worked great for a girl, but I knew I wanted it to be more feminine for Little Lady June. So Kelly said let's start fresh. I know, I seriously love her. And the quilt! The colors... the patterns... the detail... it's amazing. Oh and remember how HDawg's quilt had navy blue gingham backing? 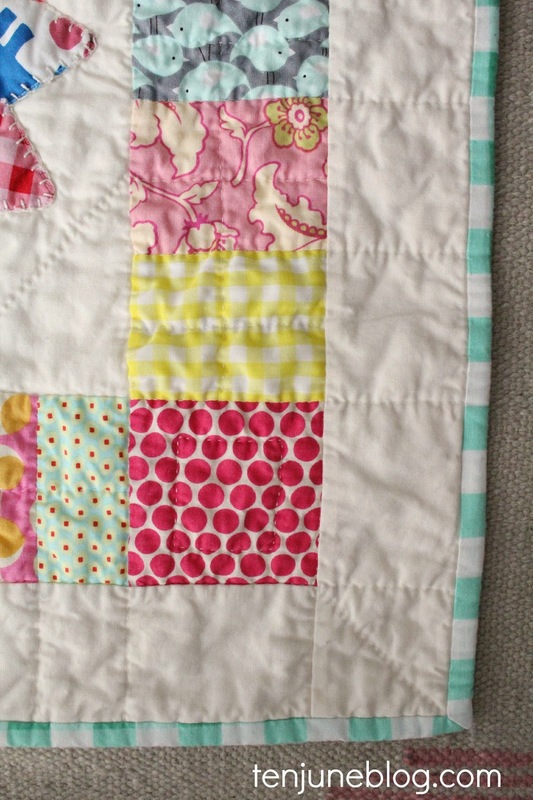 We echoed that sentiment by adding some sweet pink gingham backing to LLJ's quilt. Seriously, have I mentioned I love? Needless to say, it's the perfect addition to June bug's nursery. So thank you, thank you Kelly! 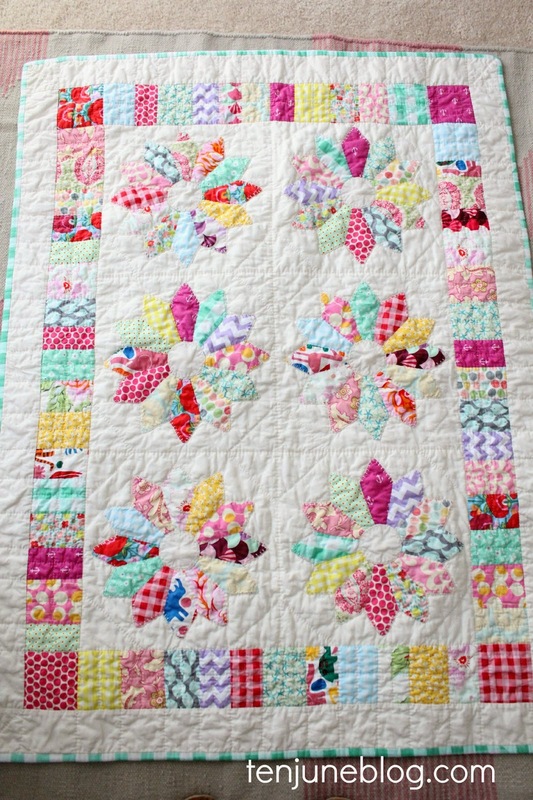 And here's some awesome sauce news for someone out there... Kelly is selling the first quilt we designed in her shop! You can check out the listing right here. 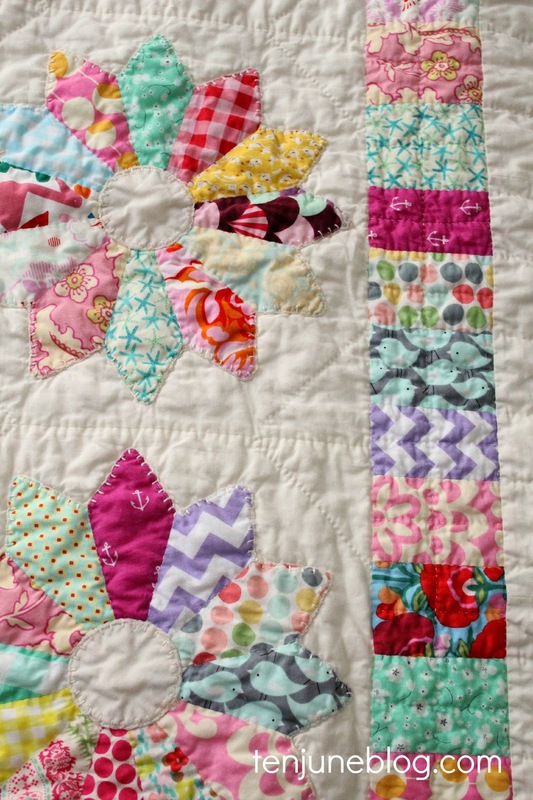 It's a seriously adorable quilt (obviously I love it since I helped design it!) that would be perfect in any little boy or girl room. I hope this beautiful piece goes to a good home out there! To see more photos of this quilt or to check out her other quilts or custom listings, check out Kelly's amazing Etsy shop right here. I LOVE this so much! Gorgeous!! You've probably said this before, but where is your crib from? I'm looking for something that simple! 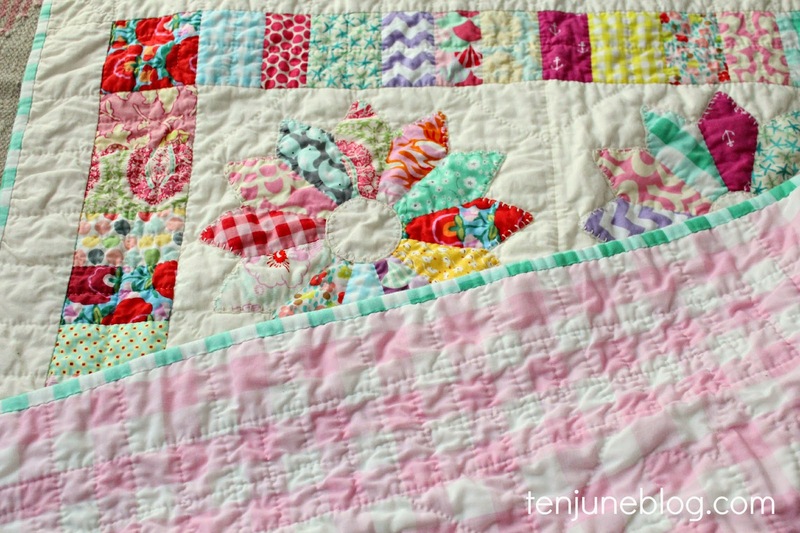 Love love love the quilt...and love that she let u start fresh! So sweet! 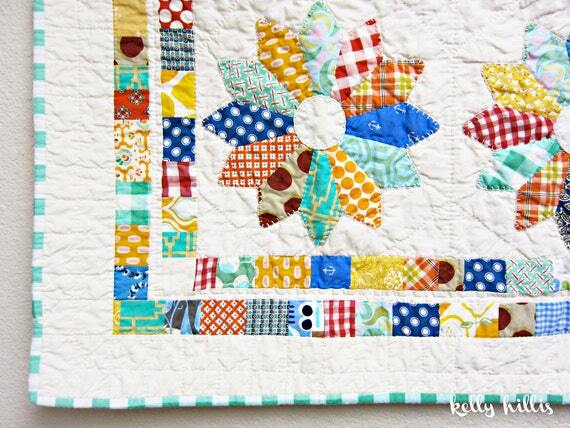 I can vouch for Kelly's beautiful quilts!!! After seeing the one you made for your son's nursery - I HAD to have one for my baby. It was the first thing I did after finding out I was pregnant (I had been stalking your nursery - loved the colors!). And she made it "unisex" since we didn't know what we were having. It came out beautifully and we've been using the navy blue gingham backing for our weekly photos too!!!! I am sooooo jealous you got to create another beautiful quilt with her! I love it! 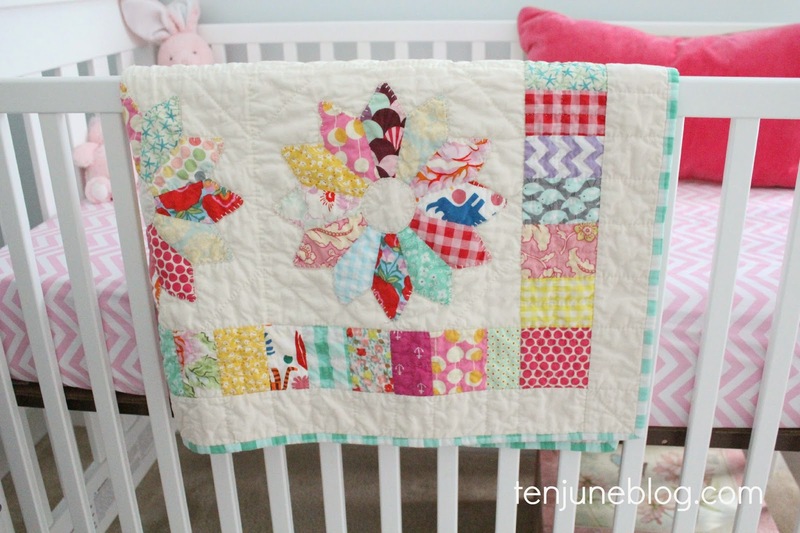 That is one of the most precious little quilts I've seen! Superb, you've really done an outstanding job for your little lady.